This is the story of Joseph Smedley’s life. After toying with a career in Law, he fell in love with acting (and with an actress!) and, having learned much from time spent with Robertson’s Lincoln company, he set out on his own, with his growing family and a small company of players. He toured incessantly, mainly in small villages and towns, throughout what is now Humberside, North Lincolnshire, South Yorkshire, Nottinghamshire, Rutland, East Anglia and further afield. 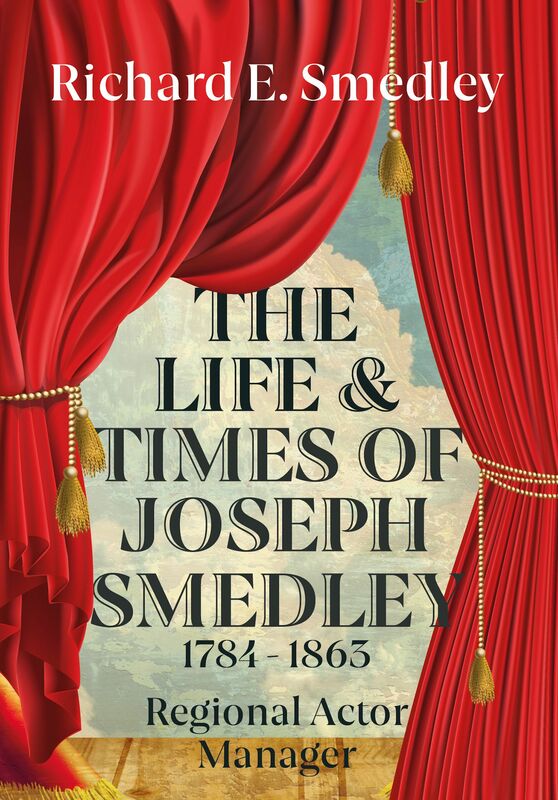 Joseph had a 30-year association with the theatre at Grimsby, which he used as a base from which he toured throughout Lincolnshire, and even built a theatre at Sleaford which is still standing. He retired from the stage in 1841, and bought a printing business in Sleaford. Although he left no diaries, his life is told through the contents of playbills which have survived, through archived papers and through family archives never before accessed. It also looks at the social and religious influences on his work, and compares his fortunes with those of the Robertson family. His family played a major part in his work, and was a great source of pride for him, but also of heartbreak. Over time he built up a huge circuit in the East Midlands and beyond, and eventually a smaller one in South Yorkshire, taking on the management at Wakefield and Bradford. From the outset, Joseph strived to treat people fairly, and built up a reputation for himself, his family and his company for sobriety, honesty, good behaviour and the quality of production in an effort to elevate his profession from its maligned reputation for drunkenness and debauchery, into one of a ‘school of eloquence, A Temple of the Arts’. He died in Sleaford, and his and his wife Melinda’s overgrown graves are in the cemetery there.